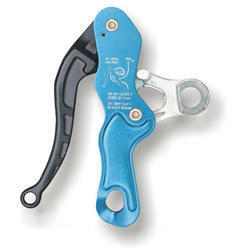 Pioneers in the industry, we offer grip descender from India. Ideal for descent on a single rope. It is equipped with a unique Self Braking System which initiates the brake as soon as the handle is released, or clasped too tightly. Looking for Grip Descender ?